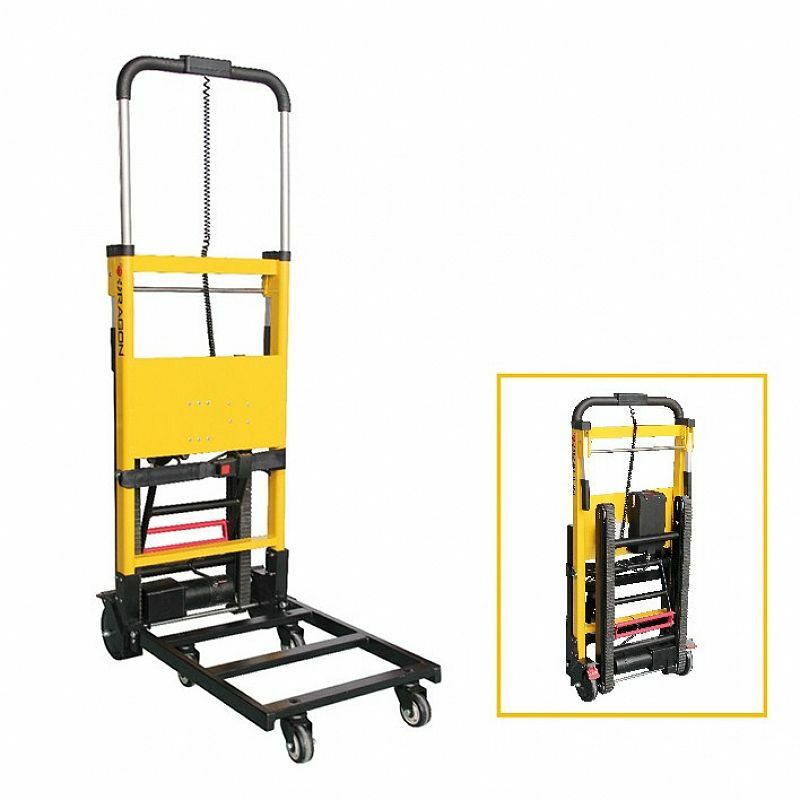 The manual handing of heavy goods on stairways can easily lead to accidents. 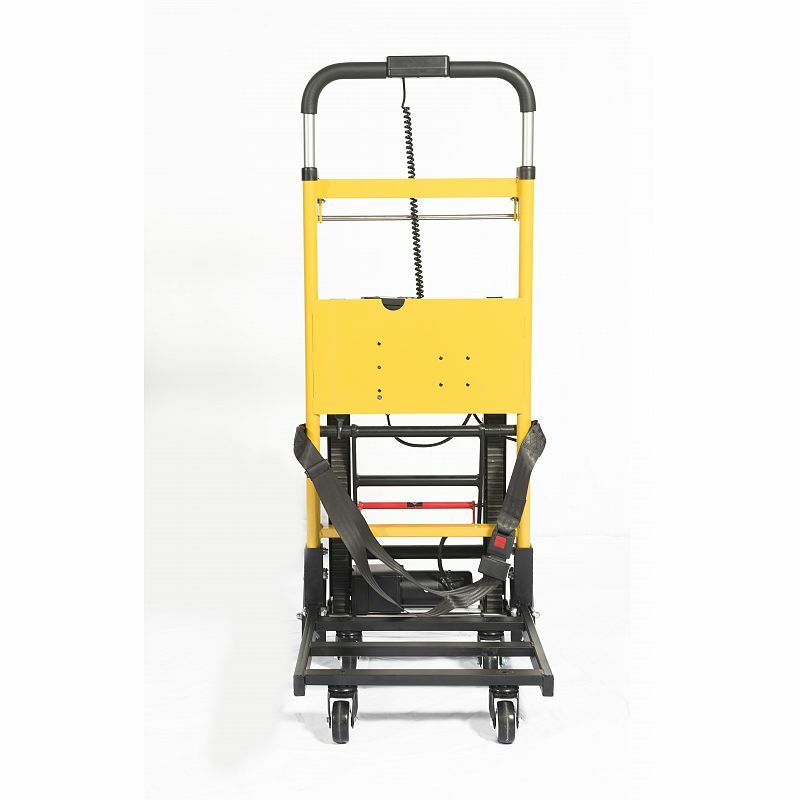 Dragon Electric Stair Climber not only safely moves heavy loads with power control. 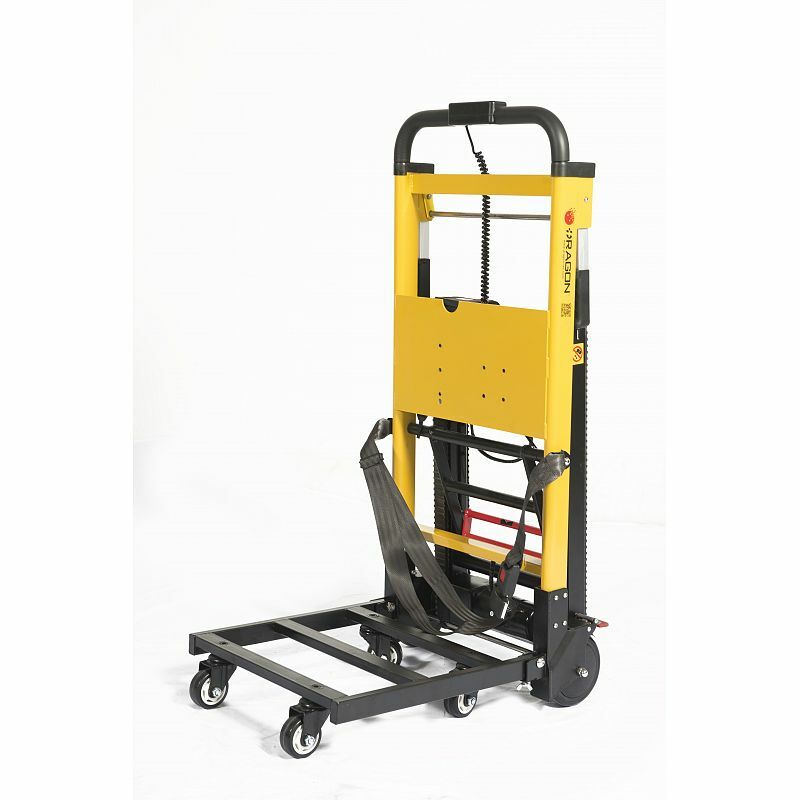 1.The stair climber hand truck are mainly used for high-rise buildings haul goods up and down the stairs, only one person can use. 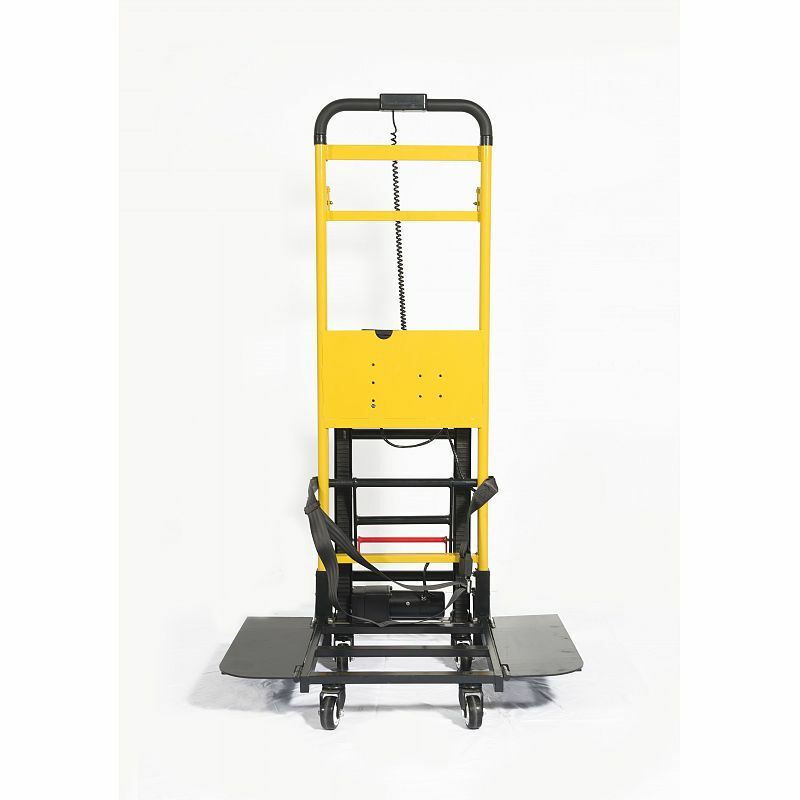 2.The materials of stair climber hand truck is made of high-strength aluminum alloy. 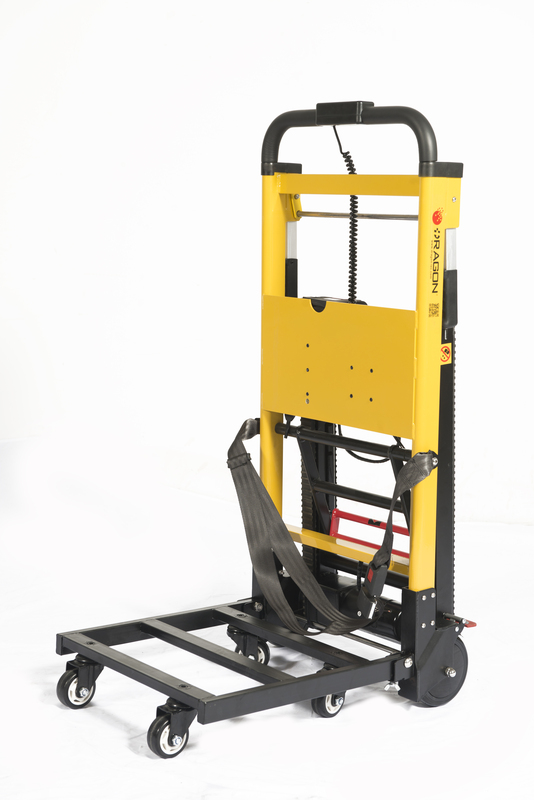 3.Extra wide sliding system for safer and easier transfer. 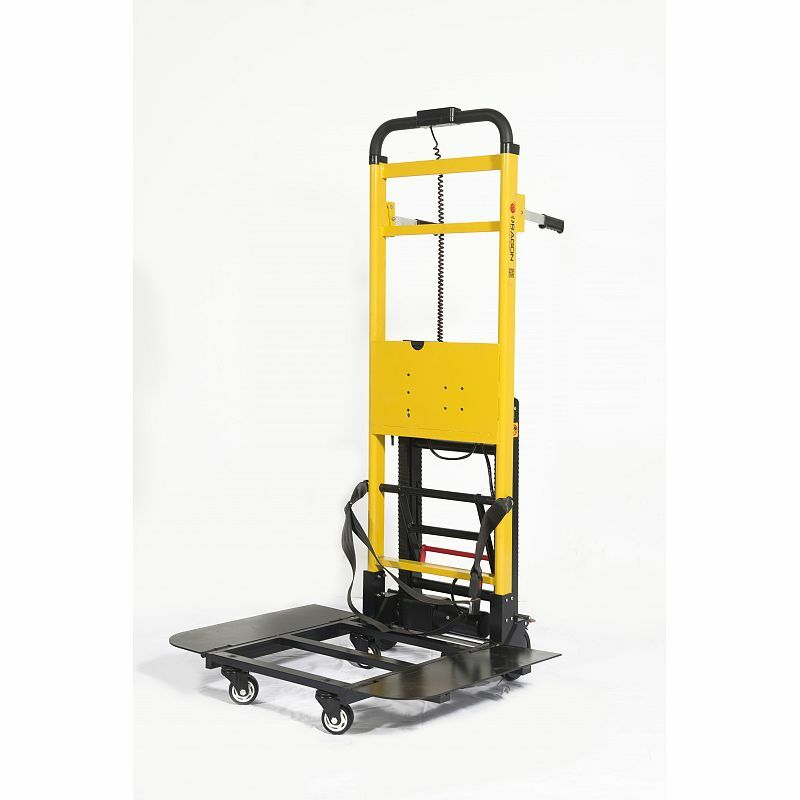 4.Three position lift bar help any size operator move the hand pallet truck on the stair.